In the Galeegi Islands, along the coast of South Carolina, the former prime suspect in a forty year old, controversial murder case is found dead of a questionable suicide. Tyler Miles, a newly-recruited patrolman with the Galeegi Police Department, becomes an unlikely part of the investigation and is immediately swept up in a tidal wave of violence and deceit that threatens to impact the entire Lowcountry. Working side by side with Chloe Hart, a research biologist for the EPA, Tyler must find a connection between the suicide and the old murder, all the while facing a new rash of killings and an imminent, destructive threat to the islands and its surrounding marshlands. From behind the screen doors of the island’s most impoverished hovels to the marble floors and crystal chandeliers of its finest plantation homes, Tyler will race to unravel the mystery behind the chilling case. And, in his search for justice, he will come face to face with an evil as old as hatred itself, cryptically finding his answers only in what the tide leaves behind…. 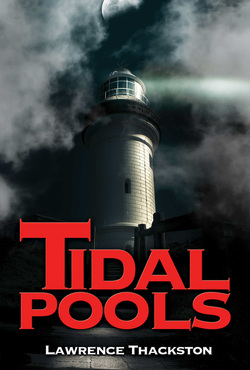 ***Click on the link to give Amazon your personal review of Tidal Pools! ***Or click on both! Thanks!!!! 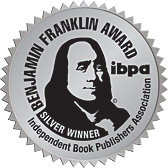 For purchasing information and the latest updates, please visit Holladay House Publishing by clicking on the icon.